Flat Tummy Plus is a food supplement manufactured in Spain for the British company Nature’s Dream Ltd., who sell the product worldwide via a variety of retailers including Holland & Barrett and Amazon. Nature’s Dream appears to be a reputable company, and Flat Tummy Plus is but one of a number of health and beauty products in their range. It must be remembered though, that despite its somewhat misleading name, Flat Tummy Plus is not a weight loss supplement and does not provide appetite suppression, fat burning, or any other benefits that are likely to directly support the slimming process. Flat Tummy Plus is not a direct weight loss product – it works in much the same way a laxative does, promoting bowel movements. Some users say it works for them but an equal number are not so sure. It won’t break the bank at under £10 from Holland and Barrett but you will most likely another product to use in tandem. What is Flat Tummy Plus and how does it Work? Flat Tummy Plus is a chewable tablet that utilizes a few key ingredients that have the ability to produce changes in bowel movement. The most important ingredient is fructo-oligosaccharides (FOS), a naturally-occurring compound found in vegetables, fruits and cereals. 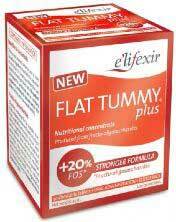 As a means of combating constipation Flat Tummy Plus is probably a first-rate product and the blend should promote improved bowel health; but with such a deceptive name on the box it is possible some customers will purchase the product with unrealistic expectations. 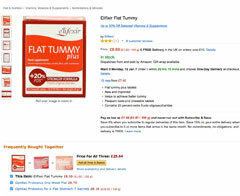 For those who suffer from bloating and constipation improved bowel movement may result in a flatter stomach but, for anyone who has a build of body fat around the belly area, Flat Tummy Plus will not be the answer and Nature’s Dream provide only the scantiest of information about their product. Fructo-oligosaccharides (1,440mg): A form of saccharide polymer that provides simple sugars and is often used as a sweetener. FOS also promotes the growth of healthy bacteria in the gut. Studies show an increase in FOS also suppresses production of harmful gut-living bacteria. Mint Flavouring: Probably peppermint, but this is not specified. Peppermint is an anti-spasmodic that can assist the digestive process and provide easier bowel movements. Anti-caking agent (Magnesium Stearate): Although it is supposedly included here to prevent caking, magnesium is known to exert a laxative effect so it probably plays a more important role in the formulation that it at first appears. 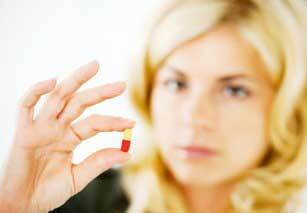 The recommended dosage is two to four tablets each day. Tablets should be consumed after a meal and Nature’s Dream points out the tablets are pleasant-tasting and should be allowed to dissolve in the mouth like a sweet. Nature’s Dream warns against exceeding the recommended dose and point out use of the tablets can produce a laxative effect. The ingredients used are not generally considered to be problematic, so side effects are highly unlikely, but pregnant or nursing mothers should always be a little cautious about taking any form of dietary supplement and should therefore refrain from using any such products unless their GP has granted his or her approval. Anyone who has any known or suspected health issues, or is taking any form of medications, should also discuss the matter with their GP prior to commencing supplementation. Each box contains 32 tablets and costs £9.99 when purchased from the Nature’s Dream website. Postage and packing is extra and, with a charge of £2.50 (second class postage) for a single box shipped to a UK address, it is rather expensive. Fortunately the tablets can be purchased via a number of independent online retailers that offer significantly reduced prices and more realistic shipping charges. It is also possible to purchase the product from some high street stores including Holland & Barrett. There are several product that we rate very highly and will give you an outstanding chance of successful weight loss.